Does birding run in the family? 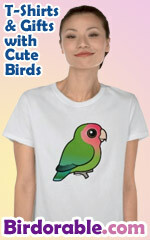 Birdwatchers and birders, share your passion with that special little someone. It's never too early to learn the basics of bird watching and the great outdoors!